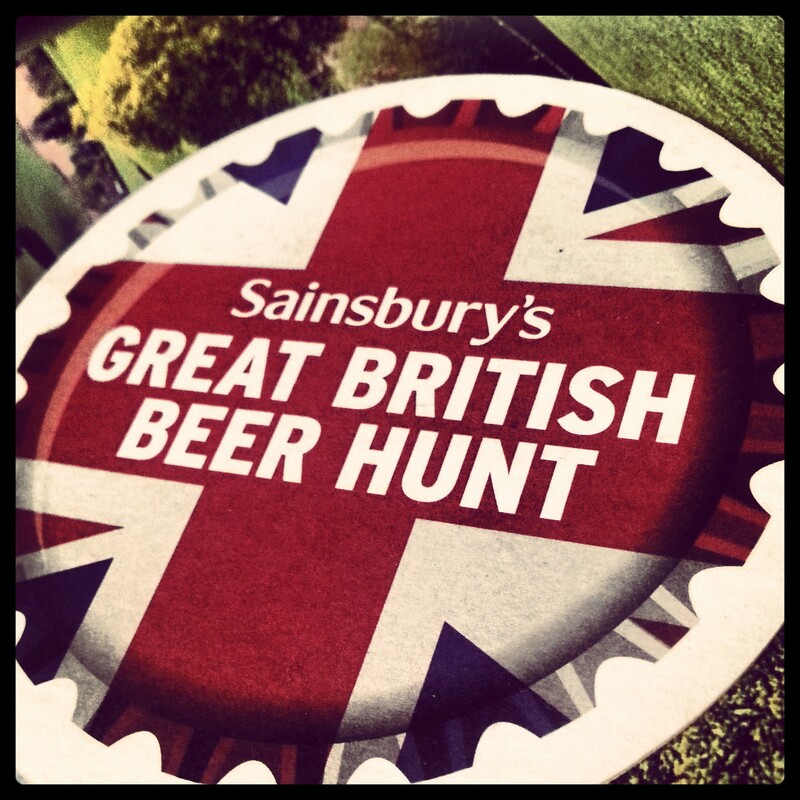 For the third year running, the Sainsbury’s Great British Beer Hunt seeks to find the best beers from participating British brewers and give national distribution deals to the ones that sell best. Members of the public and trade attend one of four regional events in April and May. The winning beers from each event are given immediate regional distribution (or go into an in-store competition – I know, it’s a bit confusing) and the top three beers from each region then compete in the final in London later this year. A champion and a runner-up are selected from the twelve finalists, both winning a six-month national distribution deal, bragging rights, and – presumably – a massive sales spike. I attended the selection event for the East region at Vinopolis in London last weekend. It was the first time I have taken part in the Hunt, and I was impressed with the selection of beers. However, it is worth noting that this is a very different kind of competition to other beer competitions or awards. This is all about retail, production and distribution. This is not necessarily the Best Beer in Britain, but rather the Best Beer Made by Brewers Capable of Producing Enough Beer to Serve Every Sainsbury’s Store. In the selection for the East Region, famous and popular brewers like Oakham, Meantime, St Peter’s and Bateman’s rub shoulders with smaller, less well-known brewers like Ridgeway, Ole Slewfoot and City of Cambridge. The most striking thing about this is that the increasing number of highly-regarded small London brewers were classed out of the competition by economies of scale. Nevertheless, there were some great beers to try, and it was nice to taste some British beers from outside of London for a change. The way the judging worked was thus: each of us had a look at the beers available (all served from bottles of course, some bottle-conditioned and some not), chose eight we wanted to judge, collected them on a tray like some kind of incredible buffet, and selected our four favourites. We then numbered these from 1st to 4th place and submitted our voting card. Underpowered marmalade pale ale. Dry finish, bit of astrigency, pleasant but not a thriller. Appley, sweet/sour biere de garde flavour and texture. Not bad but lacks life. May be due to being poured from a jug, not fresh bottle. Okay fruity pale ale. Needs one or two more different hops to perk it up and provide roundness. Occupies the centre of a lager/pale ale Venn diagram. Lively Yakima-hopped red ale. Bursting with grapefruit, lychee and toffee. A real treat. Sweet, biscuity and malt-driven. Weirdly, not peppery enough, despite containing floating bits of black pepper. A raisiny, boozy, pear droppy, biere de garde/ESB superbeer. Loads of character, fruit, punch and finish. Needs pork, stat. Rich, caramel soaked doppelbock. Bitter, sharp, and oozing with class. Oak aged, whisky malt smoked porter. Rounded, smoky and rich, yet smooth enough not to overpower. Perfect for beef. You’ll probably be able to tell which ones I chose, but I won’t say just in case it breaks the Ancient Law on Supermarket Beer Competition Ballots and I’m banned from ever attending one again. I’m very interested in seeing what makes it through to the next stage. Will the curious choose the weirder stuff, and will that be enough to displace the likes of Meantime and Bateman’s? A couple of pale ales and bitters will almost certainly make it through, but I hope something weird makes it to the store stage. 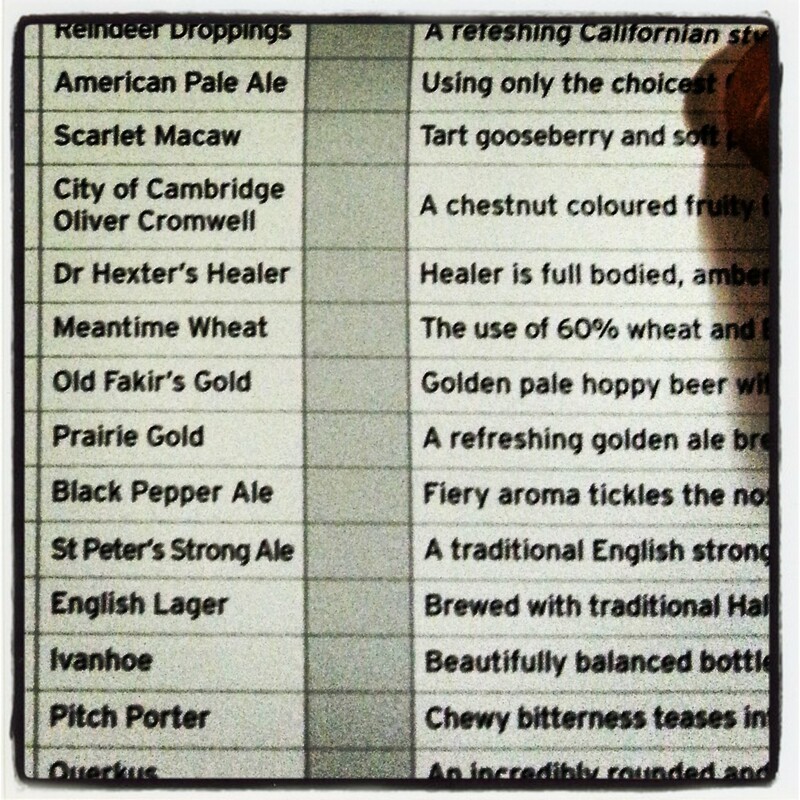 Nice work, some interesting sounding beers there. How did you get invited onto the panel if you don’t mind my asking from blogging or do you judge anyway? Hi Phil, thanks for the comment. It wasn’t a panel, as such. I think maybe a hundred people were there. Some were invited by Sainsbury’s, I got an email about it through the Guild of Beer Writers, others were in the trade. I think in theory anyone from the public could go along, but I’m not sure how they arrange it. It might be worth asking Sainsbury’s themselves. I don’t do any proper judging yet, but I hope to. These sort of events are good practice.